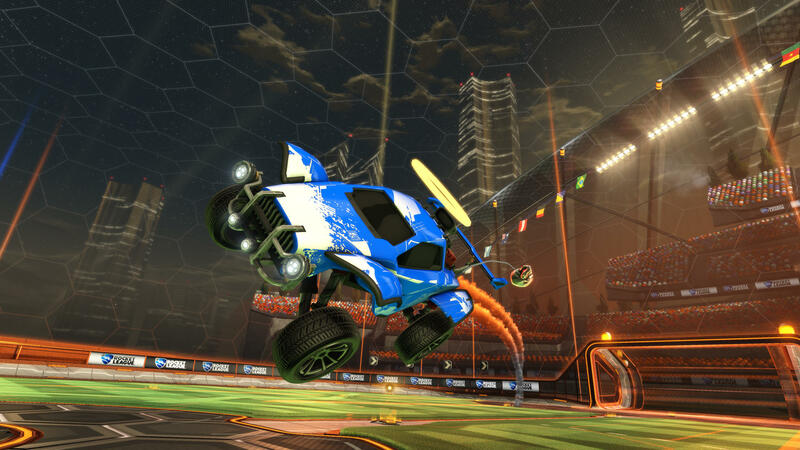 Rocket League is deploying a hotfix that hopefully will fix the ball collision in the game. PSA: Have issues with the new Hot Wheels update? 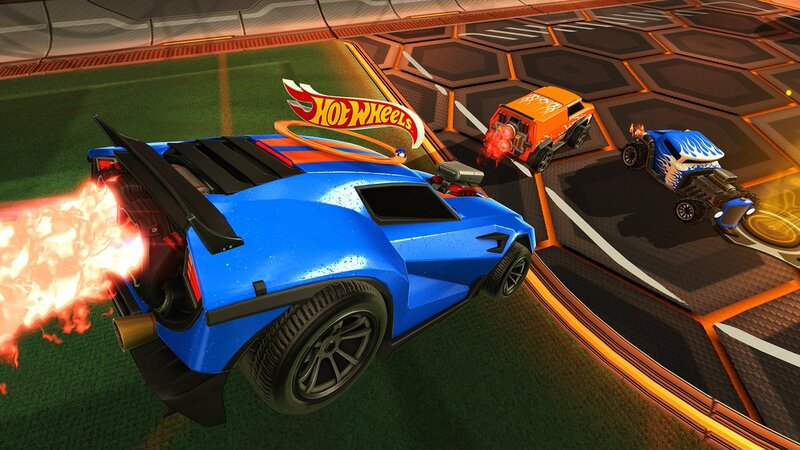 The new Hot Wheels update delivers more than just new Battle-Cars and PS4 Pro Support. New gameplay issues arise. Here’s how you can help! To help the Rocket League devs gather information about what works and what not. Head over to this thread on Reddit and supply any proof of gameplay issues you encounter. This way a new hotfix can hopefully be implemented. On behave of the community: Thanks! Looking into bug reports ASAP about changed wall bounces post-Hotwheels update. Not everything was running smoothly after patch 1.25. So Rocket League devs have been working hard on doing it right this time. The following information has been taken from the official patch notes website. We have removed Rocket Lab Arenas from the Casual Arena rotation (for now). Rocket Labs Arenas were appearing too frequently and the current ‘Arena Preferences’ system does not give players who dislike Rocket Labs maps enough sway to avoid them. We are also discussing alternative ways to get your feedback on new Arenas in shorter doses. Fixed an issue with the game client picking the wrong local profile from your save data. For some accounts that played splitscreen, this caused a “loss” of recorded stats, in-game settings, and car presets when the patch was released. PC players should see their stats, settings, and presets restored with this hotfix. Unfortunately this was not possible for PlayStation 4 or Xbox One. We are investigating solutions for next year that would prevent this from happening again by storing more of your information in our database so it cannot be lost due to this kind of bug, save-data corruption, or hardware malfunction of your PC/ Console. Fixed an issue that allowed Wasteland and Neo Tokyo to appear more frequently than they did before the Starbase ARC Patch. landing / caused the Batmobile to sometimes land “inside” the field. better address it in a future update. [Hotfixed] (PC) Fixed rendering issue that created a flickering problem for some Arenas. Fixed the Vulcan DLC Showroom thumbnail so that it would no longer shows an image of Triton. The “Current Tier” text shown after Competitive matches will no longer be colored Green or Red when changing Divisions if the “Hide Competitive Divisions” option is enabled. Rocket League just deployed a hotfix that will fix the bouncing issue that several battle-cars had post 1.25. This fix doesn’t apply on the Batmobile though. Community News – How do we feel about the new ‘hotfix’? Earlier today Rocket League deployed a hotfix that has a serious impact on the competitive scene and it’s playlist. We should be feeling happy, right? I don't like this. I don't feel like I earned my Grand Champ. Hoping @PsyonixStudios will reset the ladders more often now since it's easier to get into GC. Now it's not a challenge anymore. @PsyonixStudios You are supposed to give your players the motivation to get that TOP TIER rank that every player strives to achieve. Some issues surfaced with the new update and Rocket League is doing everything to get these bugs out of the way. Stay updated in this thread. We're working on a hotfix to address multiple bugs, incl. the Xbox framerate issue, that were introduced with the #Rumble update yesterday. There's no ETA on the hotfix but we will keep you updated as quickly as we can. Thanks for your patience!